This isn’t a Seuss style post, though I’d like that the most. It’s about my son Sam, my youngest little man. Usually quiet and still as a post. 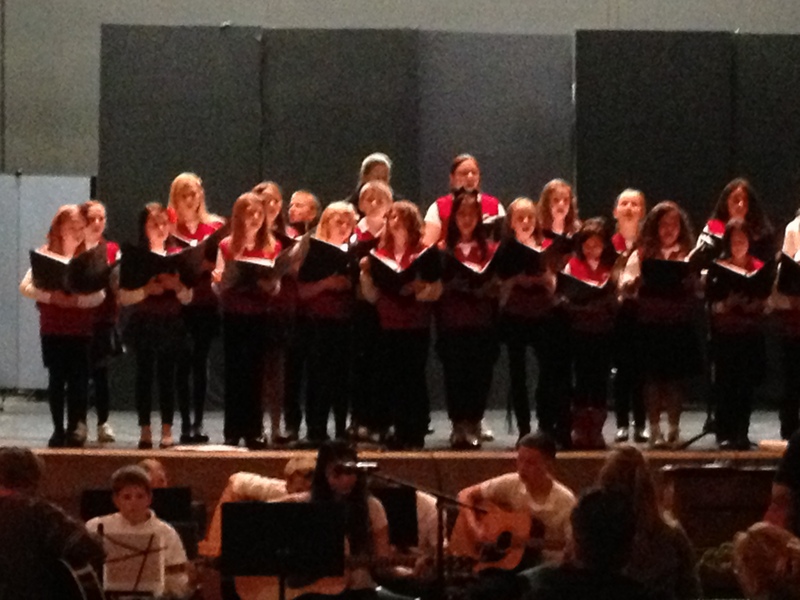 Sam and the choir did sing. Throughout the room did ring. Okay . . . I’m done I can’t find a way to carry on the Dr. Seuss theme for the entire post. 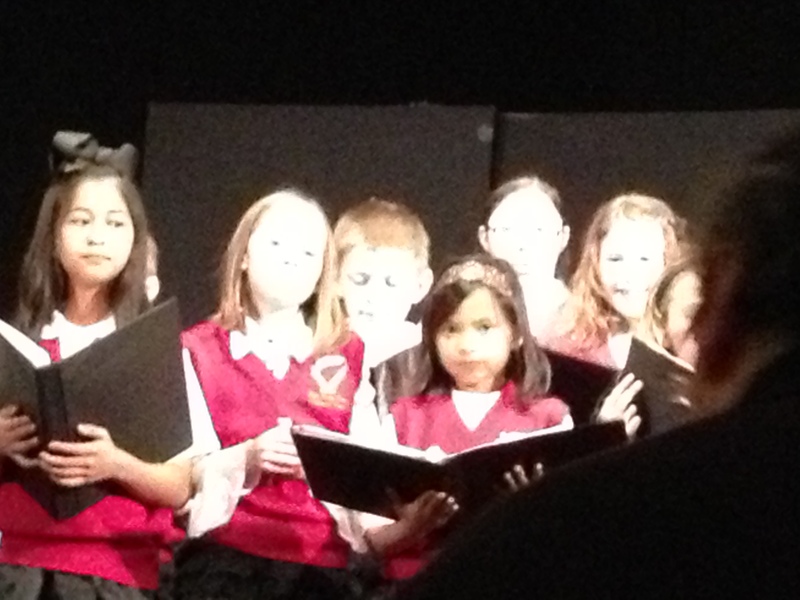 Sam…smack in the middle, back row. This is, of course, a post about my son, Sam. Late in the week last week I was told he was supposed to sing at a parents’ meeting at their school along with the choir, guitarists, band, violinists, etc. When I had to leave work early to pick up the other kids (long story) and get them home, fed, and left to their own devices (another long story) and head back to see Sam perform and attend the meeting. What’s the old line? The squeaky wheel gets the grease, right? That’s not Sam. Samuel, my youngest twin (by like – 15 seconds) is like his sister Hannah in that he always has a smile on his face. That’s a big feat for him lately. He lost his Mom, and he was insanely close to her. He lost his Grandpa, and though he doesn’t want to admit it, that affected him, too. After losing Andrea, Sam shut down, and I mean, went upstairs, hid, and wouldn’t come out except to eat and talk when he needed to. That’s all. That always made me smile. Yes, I know that was still grief he needs to deal with, and some fears that he’s coming to terms with. I’ve gleaned all that knowledge in the last couple years. But it still melted my heart a little, and mine had gotten a little cold. He’s moved to coming up and hugging me at random times, which is just as good in my book. He’s smiling . . . a lot. So when Sam wanted, halfway through the year, to re-join the choir I couldn’t tell him “no.” I’m a musician, I like that he wants to be there. I also think the kid has near perfect pitch – better than mine even. When tonight came up, even thought it meant a mad-dash scramble, I was eager to be there. And there Sam was . . . voice ringing out, and once in awhile looking over the head of the little girl in front of him to check if someone was there to watch him. About a minute in he noticed I was there, front and center, and his eyes, face, and smile lit up. He sang louder. We’ve had a rough few weeks in the household, and it would be easy to fall into despair. I wish I could say I had the chance to sink into it myself, but when your kids are hurt worse . . . you put your face to the wind and weather the storm. This storm was far less grating than the one two years ago. And in the end . . . I got that smile . . . and an excited, verbose recitation on the way home from my son, Sam. Previous PostYou Upset Me Baby . . .Next PostShut It Off, Shut It Up, Pay Attention!